Widescreen Review, The US's foremost authority on Home Theatre Resources, covers the ProSDI in issue 81 (February). "The Lumagen Vision Pro provides exceptional performance, features and value. It blends outstanding picture quality with extremely flexible scaling functions and includes input switching for eight analogue video sources. 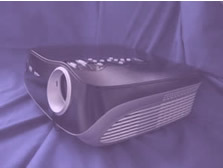 The SDI option adds a digital video input which eliminates several DVD player problems that can degrade picture quality. The VisionPro will satisfy video enthusiasts and professional installers, who want to optimise the image format for each standard definition source in a home theatre"
To find you nearest demo email info@convergent-av.co.uk or call 01555 890120.